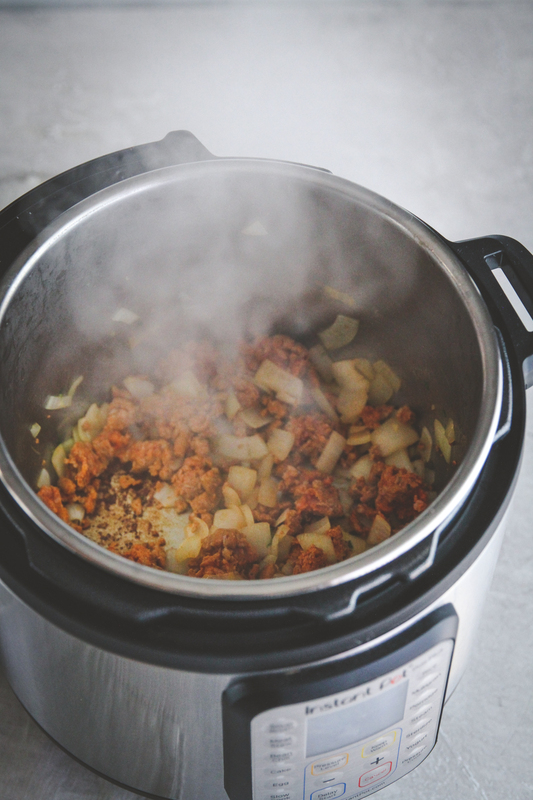 Oh my goodness, I’m back at it with my Instant Pot, which makes the best ever sausage sweet potato soup in such a short amount of time! 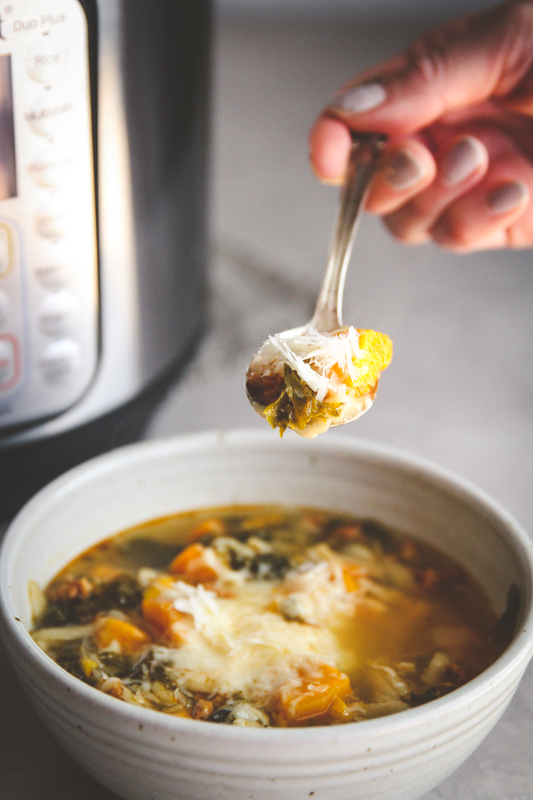 You’re going to love this flavorful soup and love how easy it is to make in an Instant pot (or slow cooker). 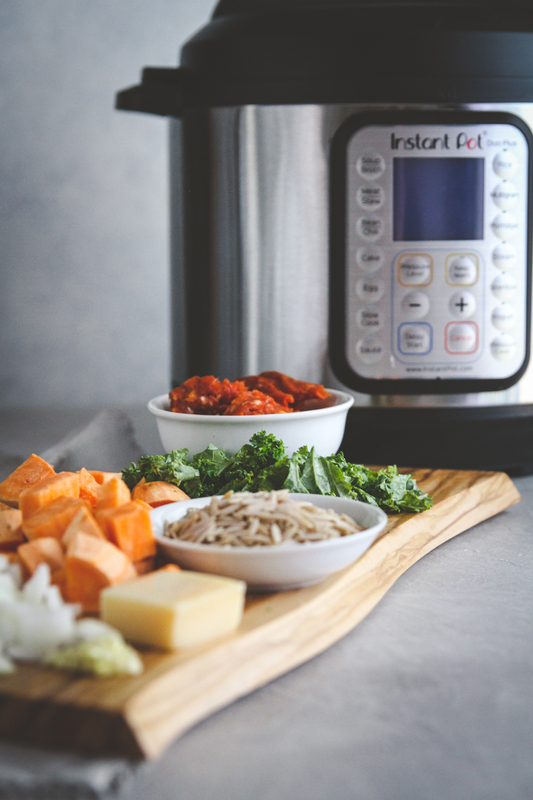 Lately I’m all about my Instant Pot. Just this week I made a batch of the best loaded baked potato soup and over the weekend I made an entire turkey meatloaf dinner (with potatoes and green beans) in the Instant Pot. I also made spaghetti and meat sauce in the Instant Pot, a recipe I definitely need to share with you guys asap! Oh oh, I also put 4 frozen chicken breasts with 3 cups of chicken broth in the instant pot and cooked it for 45 minutes and then shredded it to make into chicken salad. From the freezer, into the instant pot! You guys! The Instant Pot is amazing! So…my love for the instant pot is every evident. 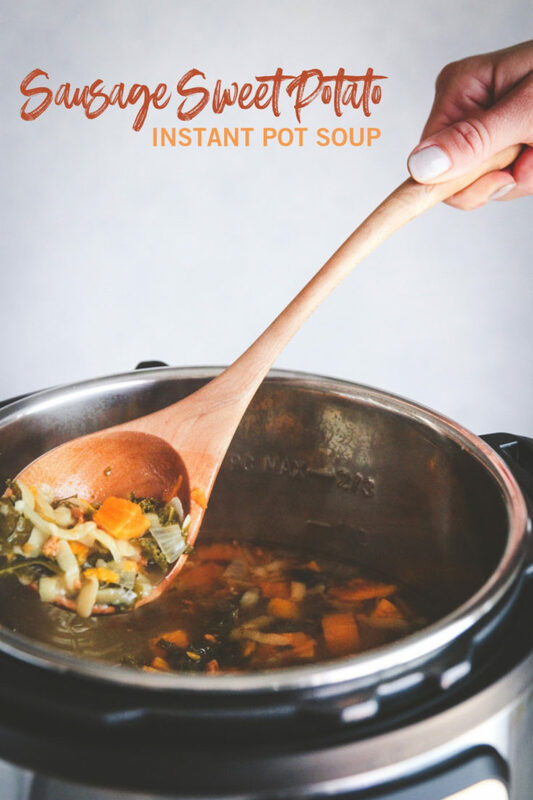 One of my absolute favorite things to make in the Instant Pot is soup, because it pressure cooks, all the flavors meld together and the soup tastes like it has been cooking for hours, but really only takes minutes! 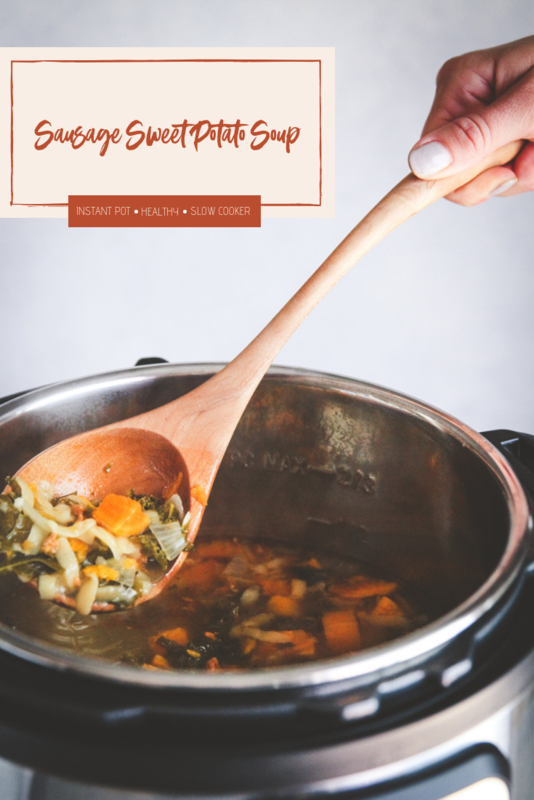 This Instant Pot sausage sweet potato soup with kale and orzo is so yummy and perfect for fall and winter. It’s a hearty soup that is so easy to make!! 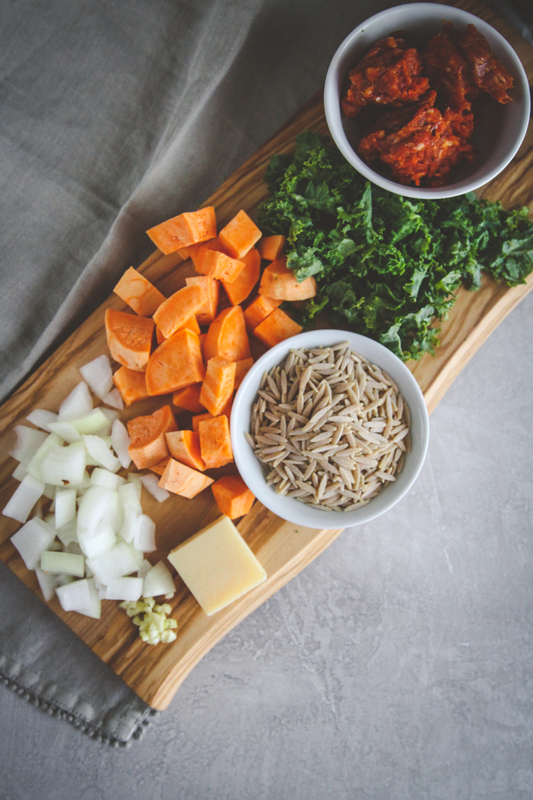 All you do is use the saute setting on your instant pot and saute some hot Italian sausage (or you could use turkey sausage) with some yellow onion, then add in the rest of the ingredients (kale, sweet potato and whole wheat orzo and let the instant pot do it’s job. Less than 1/2 an hour later, you have the most amazing sausage sweet potato soup you’ve ever had! My son Ben loves this soup, he had two servings for lunch the other day! If you’re gluten free, you could use wild rice or a gluten free orzo in place of the whole wheat orzo I have listed in the recipe. I’d love to hear from you in the comments section: what is your favorite soup? Peel, chop and prep all the veggies. Select the Saute setting on a 6 quart Instant Pot for 5 minutes and pour in the olive oil, then add in the onion and cook for 2 minutes, then add in the garlic and hot Italian sausage, sprinkle in salt and pepper and saute for an additional 3 minutes. Add in the sweet potato cubes, curly kale, whole wheat orzo, chicken broth and water. Stir to combine. Secure the lid and set the pressure release to Sealing. Press the Cancel button to reset the cooking program, then select the Soup or Stew setting and set the cooking time for 12 minutes at high pressure. When the timer goes off, turn the valve from Sealing to Venting to release the pressure. This will make a hissing sound and the steam will come out which takes a few minutes (mine usually takes about 5 minutes). When it is done releasing steam, open the lid and stir, then ladle into 4 bowls, top each bowl with 1/4 of the parmesan cheese (1/4 oz.) and enjoy! In a medium pan/skillet pour in the olive oil, then add in the onion and saute for 2 minutes on high, then add in the garlic and hot Italian sausage, sprinkle in salt and pepper and saute for an additional 3 minutes. Transfer contents of the pan/skillet into a crockpot/slow cooker. Add in sweet potato cubes, curly kale, whole wheat orzo, chicken broth and water. Stir to combine. Put the lid on, and cook for 8 hours on low. When done cooking ladle into 4 bowls, top each bowl with 1/4 of the parmesan cheese (1/4 oz.) and enjoy! 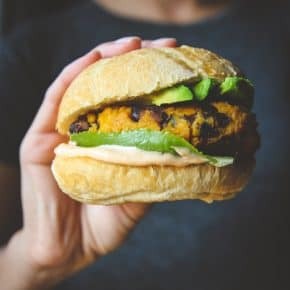 Looks delish – love anything made with sweet potatoes. Going to try this recipe in my slowcooker. Thanks!! My favorite year-round soup is creamy tomato! Is there a instant pot recipe for that? I’ve been reading some of your Instant Pot recipes and they look wonderful! I would love to have an IP. 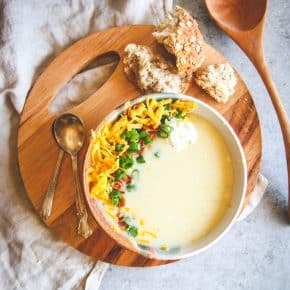 I’ve been using the old slow cooker to make my favorite Loaded Baked Potato soup. 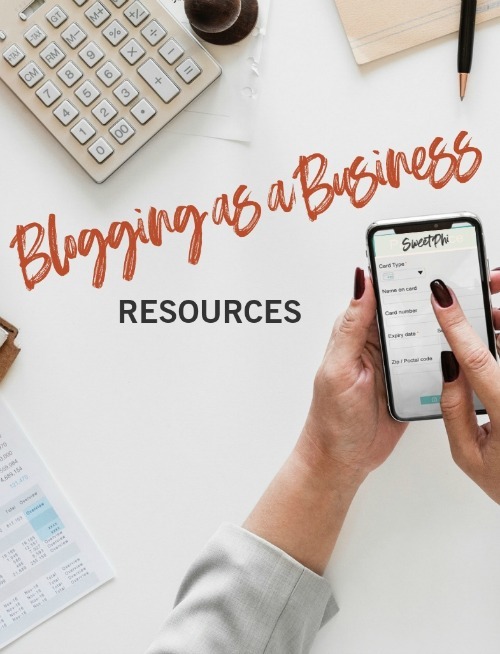 Thanks for the recipes, tips and stories in your newsletter. They always come in handy and are enjoyable. My favorite soup to make during the fall is pumpkin chili! My favorite soup is Farmers Market vegetable soup … its perfect for a rainy fall day here in Minnesota! I LOVE new England clam chowder and have made it in my slow cooker! I think my favorite soup is tomato! With a grilled cheese sandwich on a cold night it’s so comforting! 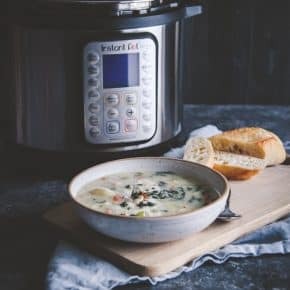 My favorite soup is zuppa toscana – it is the best and would be so easy to make in the instant pot. My favorite soup is my homemade Cheesy Potato Corn Chowder. It’s my family’s favorite too. Love split pea with ham. I use both celery and carrots, lots of onion, ham hocks. Cooks all day. Make huge batch every fall. Then freeze. My favourite soup is minestrone… love all the vegetables! Aloha, I’m going to try the sweet potato and sausage recipe! My family would love it. My favorite soup to make is split mung bean dahl……When the spices are simmering and scenting the house… Coriander, ginger, turmeric, mustard seed… I feel like I’m doing something right in the world! Plus I just interchange seasonal vegetables and serve it over rice and it is amazing! When the spices are simmering and scenting the house… Coriander, ginger, turmeric, mustard seed… I feel like I’m doing something right in the world! Plus I just interchange seasonal vegetables and serve it over rice and it is amazing ! Thanks for all of your hard work and your newsletters… I really appreciate that very much. My favorite soup is matzo ball soup. It is so easy to make. Yummy! Cream of Potato soup is my favorite! Would love an instant pot to cook for my parents who will soon have their 70th anniversary! This recipe looks yummy!!! 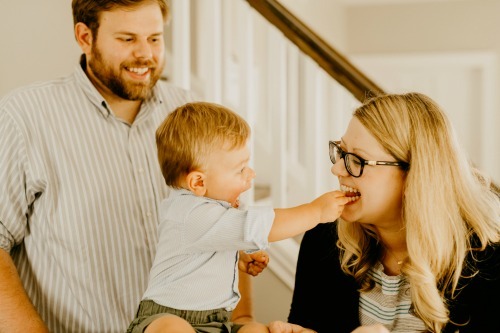 My husband’s favorite soup is a hearty beef barley soup. He’s always asking for it. I usually make large batches of it and keep containers in my freezer. I’m out now, so I’ll have to make some more. Looks like I will be cooking this weekend.